WASHINGTON: Just four weeks after President Donald Trump declared victory over the Islamic State group, the jihadists claimed responsibility for a brutal attack in Syria that highlighted a very different reality on the ground. 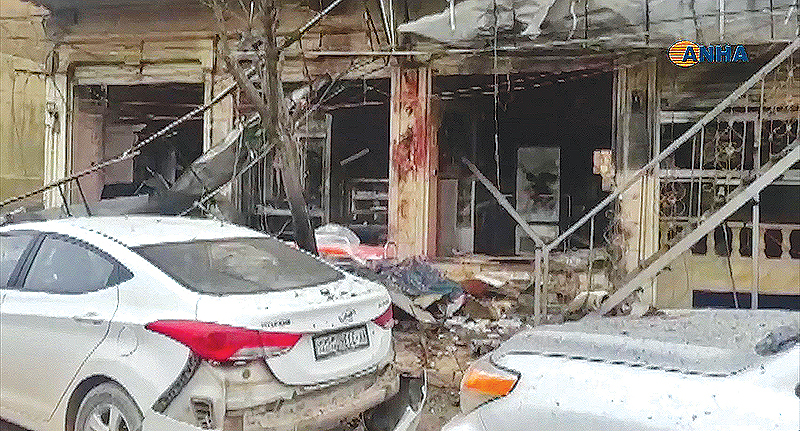 Four Americans, including two troops, were among those killed when a suicide bomber hit a restaurant in the key city of Manbij in Syria’s north-the deadliest attack against US forces since they first deployed in the war-torn nation four years ago. Trump claimed on December 19 that the US and its allies had “beaten” IS, and he ordered an immediate troop withdrawal from the war-torn country. While many Americans have cheered Trump’s decision, fed up after years of costly and seemingly interminable conflicts, observers said Wednesday’s attack shows he was too hasty. Charles Lister, a senior fellow at the Middle East Institute, said the attack demonstrated how IS can now conduct a low-level insurgency in Syria. This is “precisely how this jihadist organization has adapted and gone back on the attack in years past,” Lister said. “Trump’s order was reckless and driven far more by domestic political concerns than it was by facts on the ground.” To bolster his argument that IS had been defeated, Trump highlighted how much territory the group had lost since it declared a “caliphate” across swaths of Syria and Iraq in 2014. But the jihadists still hold small pockets of land in the Euphrates River Valley, and thousands of fighters are thought to remain in Syria. “To suggest ISIS is ‘defeated’ because it no longer controls territory is to fundamentally misunderstand how ISIS and similar organizations seek to operate,” Lister said, using an alternate acronym for the jihadist group. Senator Marco Rubio, another Republican, said IS’s claim for the attack serves as a “tragic reminder that ISIS not been defeated and is transforming into a dangerous insurgency.” “This is no time to retreat from the fight against ISIS. Will only embolden & strengthen them,” Rubio said on Twitter. The American president did not immediately react to the US troop deaths, but Vice President Mike Pence doubled down on Trump’s declaration that IS was beaten. “The caliphate has crumbled and ISIS has been defeated,” Pence said. In a statement, he later added: “We have crushed the ISIS caliphate and devastated its capabilities.” Pence added that the American people “can be assured” that the US would never allow ISIS to reestablish “their evil and murderous caliphate.” In the weeks since he gave the withdrawal order, Trump and members of his administration have delivered mixed messages about the timeline.